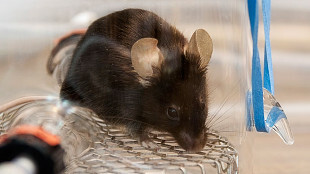 Mouse in a glass chamber used for collection of volatile compoundsCOURTESY OF SLOFF, DE MORAES, AND MESCHER RESEARCH GROUPMalaria changes the odor profiles of infected mice, making them at times more attractive to mosquitoes that transmit the malaria-causing parasite Plasmodium chabaudii, according to a study published in PNAS today (June 30). 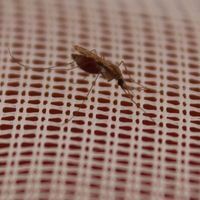 Scientists from the Swiss Federal Institute of Technology (ETH Zürich) and their colleagues found that Anopheles stephensi mosquitoes were most attracted to P. chaubaudii-infected mice most often when the animals were still highly infectious, after their acute symptoms had subsided. The team suggested that this parasite’s apparent manipulation of its host could help explain how insect vectors are preferentially attracted to infected individuals during transmissible stages of malaria, as other groups have shown. 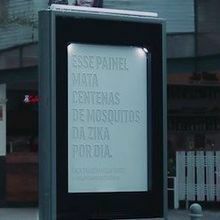 “This is the first convincing study that demonstrates a significant change in volatiles from malaria-infected mammals that affect mosquito behavior,” medical entomologist James Logan from the London School of Hygiene and Tropical Medicine told The Scientist in an e-mail. Logan, who was not involved in the work, added that the team went to great lengths—combining analytical chemistry with behavioral assays, among other things, to pin down the odor compounds emitted by mice at different stages of infection and to test mosquitoes’ responses to those odors. A primary focus of ETH Zürich’s Mark Mescher work has been to understand how chemistry mediates interactions between plant pathogens and their hosts, including how certain odors appear to attract disease vectors. When his colleague, study coauthor Andrew Read, moved to Penn State University and began studying malaria in mice, the team saw an opportunity for collaboration. Mescher, Read, and their colleagues first characterized the volatile emissions of mice throughout a malaria infection, finding that while both healthy and infected mice emitted the same volatiles, their relative quantities differed. 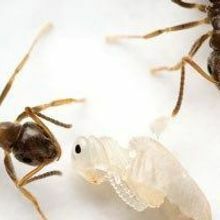 “[Mescher and his colleagues] are the first to identify in detail which volatiles changed during a certain stage of the infection,” said Niels Verhulst, an entomologist and vector-borne disease specialist at Wageningen University in the Netherlands, who was not involved in the work. To assess vector attraction, the researchers used wind tunnel assays to expose A. stephensi mosquitoes to the odors of infected and healthy mice, testing their downwind behavioral responses. They found that the mosquitoes were preferentially attracted to olfactory cues from malaria-infected mice compared with their healthy counterparts, and that the insects were most attracted to the hosts while mice harbored relatively high levels of malaria gametocytes. “Mice harboring gametocyte stages—the transmissible stage of the parasite—are not only more attractive to mosquitoes compared to inoculated mice without gametocytes and uninfected healthy mice, they also have a distinct odor compared to uninfected mice,” said Lefèvre. “Our results are fairly consistent with previous findings from both plant and animal diseases systems suggesting that pathogens often alter host-vector interactions in ways that might be expected to enhance transmission,” Mescher told The Scientist in an e-mail. “That could have important implications for efforts to manage disease by disrupting the cycle of vector transmission,” he added. 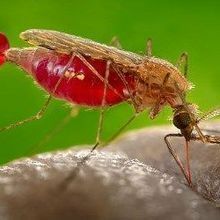 With continued support from the Bill & Melinda Gates Foundation, the team is now working with researchers from the International Center for Insect Physiology and Ecology to characterize the olfactory profiles of people in Kenya with symptomatic and asymptomatic malaria infections, as well as those of uninfected people. “We are hoping to identify biomarkers that might allow us to identify asymptomatic carriers of infection, which is a critical issue for combatting the spread of the disease,” said Mescher. “The real underlying mechanisms are still unknown,” agreed Verhulst. C.M. De Moraes et al., “Malaria-induced changes in host odors enhance mosquito attraction,” PNAS, doi:10.1073/pnas.1405617111, 2014.